Living with PTSD isn’t easy. It comes in many different forms and stages. 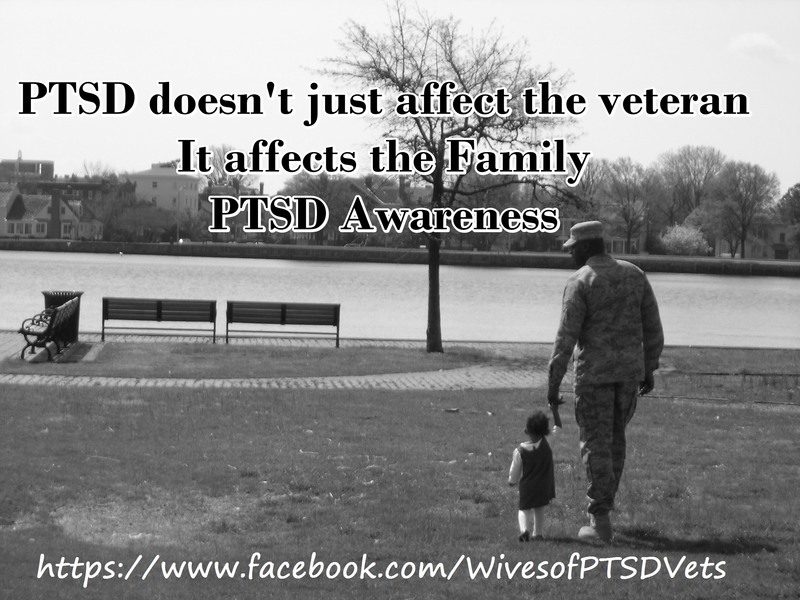 I started Wives of PTSD Vets and Military on Facebook out of frustration and lack of support in our area (Hampton Roads VA). Starting as an outlet, it has led me to so much more; knowing I am not alone, and finding some awesome people. It is not only support, but finding and sharing resources with one another. We all have our own stories, although a little different than the next. The families can help one another, and be a shoulder to cry on. We can help each other find the courage and strength we never knew we had. To rally around one another, and be a support system. Whatever your story is, by telling it, it may help someone else. Through all that I’ve been through, and the lack of support for the families, it led me to start Families of PTSD Vets and Military of Hampton Roads, VA (a mouth full right?). We meet every 3rd Tuesday from 6pm to 8pm at the Tidewater EMS Council in Chesapeake, VA. I am still trying to find a location to hold meetings on the Peninsula. If you know of a place willing to donate space, please let me know.